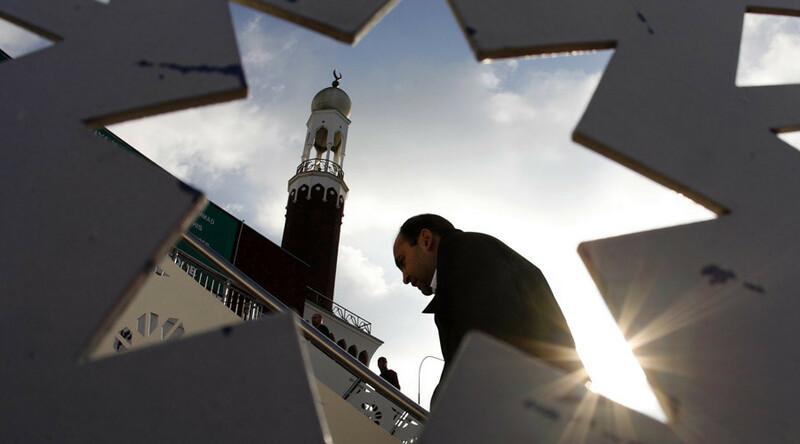 More than 80 mosques all over Britain opened their doors to non-Muslims this Sunday, offering “tours and tea” in an effort to explain Islam beyond the “hostile headlines” amid a surge of Islamophobic sentiment across Europe. This weekend, two of Britain’s oldest mosques, the Shah Jahan Mosque in Woking, and Liverpool’s Abdullah Quilliam Mosque are participating in this year’s Visit My Mosque event. Mosques in London, Birmingham, Manchester, Leeds, Glasgow, Cardiff, Belfast, Plymouth and Canterbury are also involved in the initiative. It is being run by the Muslim Council of Britain (MCB), an umbrella organization that unites 500 affiliated national, regional and local Islamic bodies, mosques, charities and schools. This is the second Visit My Mosque day organized by MCB. The day seeks to “provide a platform for Muslims to reach out to fellow Britons and explain their faith and community beyond the hostile headlines,” the MCB said. “Local mosques will also be inviting inter-faith leaders as well, and all will be asked to come together to demonstrate unity and solidarity during what has been a tense time for faith communities,” the MCB said in its January press release. Launch events are taking place in London, Leeds, Cardiff and Glasgow, welcoming men, women and children of all ages, the MCB added. During the open days, introductions to Islam and explanations on Muslim community activities will be offered, as well as opportunities to see prayers and guided tours. The latest census, from 2011, showed there were 2.7 million Muslims in the UK - about 4.5 percent of the population. The Visit My Mosque day comes amid rising anti-Muslim sentiments in Britain and all across Europe. In December 2015, the Metropolitan police recorded 158 Islamophobic hate crimes, more than double the figure of December 2014. The number of attacks climbed after the murder of British soldier Lee Rigby by Muslim extremists in 2013 in South London, but skyrocketed weeks after the November terror attacks in Paris. In continental Europe, far-right parties are gaining traction amid the continuing influx of refugees fleeing foreign-backed militancy in Syria and the rest of the region. On Saturday, tens of thousands of people marched across 14 European countries in protest against Muslim migrants flooding into the continent. In several migrant flashpoints, clashes broke out between demonstrators and police.